The price cut, which will apply to Model S, Model X and Model 3 cars, is in response to a reduction in green tax credits. Tesla said it delivered 90,700 vehicles in the three months to December. Its shares fell by about 8% at the start of US trading. Ahead of the price cut announcement, chief executive Elon Musk urged Tesla customers to make use of federal tax credits. 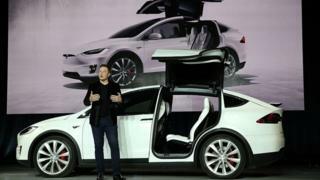 Worth around £6,000 ($7,500), the credits are set to reduce by half after the first 200,000 Tesla vehicle deliveries in the US. In its previous results statement, the company promised to focus on increasing its production rate.